Covered with soft touch velour flocking. Quick and easy to inflate.180cm long x 80cm wide when inflated. You will need to provide your own sheets and blankets/sleeping bags. Use the measurements to calculate how they will fit into the tent of your choice. 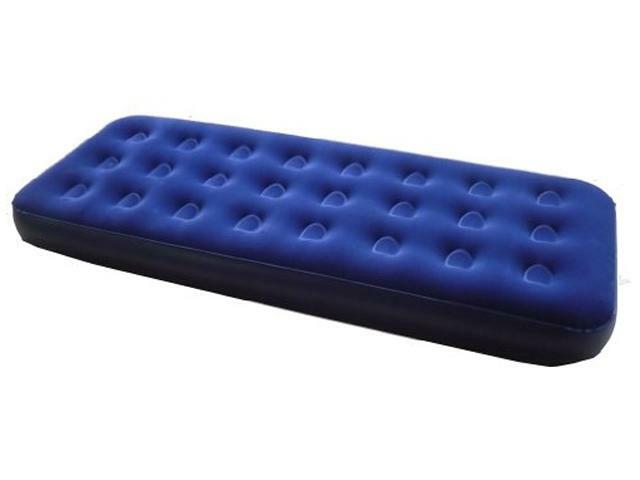 You will need a 12V air pump or foot pump to inflate the mattress.